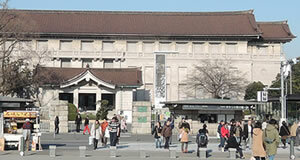 Ueno Park where this museum is located at is known as one of the most popular Sakura Viewing spots in Tokyo. The Sakura blossoms are usually in season around the end of March to the beginning of April. The Springtime Opening of the Museum Garden is until May 19, 2019.